The Legal Wife actor passed away early this morning. Actor Mark Gil passed away this morning, September 1, 2014. The manager of the actor, June Rufino, confirmed the news in a statement sent to ABS-CBN News. "On behalf of the Eigenmann family, June Rufino, manager of Mark Gil, confirmed that the actor passed on at 8am today," the statement said. Also according to Ms. Rufino, Mark's family will have a media announcement this afternoon. "The family requests their privacy at this time. A media announcement with the family will follow at 5 pm today." It was reported that the 52-year-old actor died of liver cirrhosis. Mark is the son of Eddie Mesa and Rosemarie Gil. He is the brother of actors Michael de Mesa and Cherie Gil. He is the father of Gabby Eigenmann and Ira Eigenmann, whose mother is actress Irene Celebre. Sid Lucero Eigenmann and Maxene Eigenmann are his children from actress Bing Pimentel. He also has a daughter, young star Andi Eigenmann with actress Jaclyn Jose. 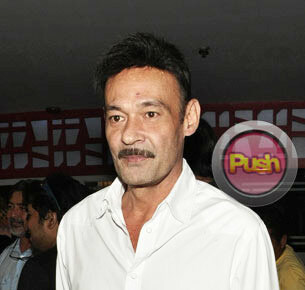 Mark Gil last starred in the ABS-CBN show The Legal Wife.